Ye Olde Green Wave Forum • View topic - New campus building, "The Commons"
New campus building, "The Commons"
Post subject: Re: New campus building, "The Commons"
Yes, yes it was windy. Don’t forget TGIF on the UC Quad. Free kegs (paid for no doubt by our activity fee). After my first semester freshman year, I tried not to schedule Friday classes or if I did, they were in the morning only. Good times. The UC cafeteria was still functioning when you all were there - right? Did any of you try the Trout Almondine? Probably served on Friday maybe Thursday. Freshly caught speckle trout filets lightly dusted with fresh almond slices accompanied with a homemade tartar sauce. My favorite meal at the UC - except for the French Cheeseburger. sr, the UC served food when I was there. And pretty decent food too but unfortunately it was cash and carry only. Meal plan didn't work there. TUPF, those TGIF's were amazingly wonderful. Beer, sunshine and sometimes even music? Wonderful times. a different sense of when you were old enough/mature enough to drink back then. The philosophy being if you were old enough to go to war (we had Vietnam and a Draft), you were old enough to drink. I remember using my Meal Tickets at the UC cafeteria and snack bar where the French Cheeseburgers came from. UC had a cafeteria and a nasty Arby's when I was there. I never ate at the cafeteria because the athletes were only able to eat at Bruff (we weren't on the meal plan with a card, we just signed a book). My last year, the Arby's was replaced with a Taco Bell / Pizza Hut, which was awesome... I'm pretty sure that was there until the renovation to the LBC. TGIFs were still in existence when I was there in the early 90s. Always good bands - obviously the New Orleans jazz and funk scene is great - but especially with the exploding popularity of "alternative rock" at the time (which was always "college aged"), lots of good bands of the time played. Had I not been on the team (at afternoon practice half the year, not supposed to be drinking in public at any time), I'd have been there every time. Interesting that we worked out a deal to share with Loyola, though I suppose that was the food service company and not necessarily the schools. I had nearly ZERO interaction with Loyola, or Loyola students, in my time at Tulane. Never stepped foot on their campus outside of two times being in a friend's car who parked in their garage. Though interestingly I crossed paths with a woman last weekend wearing a Camellia Grill tshirt, and upon my acknowledging comment, she said she went to Loyola. I said "Tulane", we nodded knowing approval at each other, and continued on our ways. I wonder what the Loyola alumni count is here in Cincinnati (probably single digits). Some things are more connected now, some still very separated. I think the food thing happened when Tulane hired the same food company as Loyola. It got cheaper to combine. Loyola students have gotten free tickets to Tulane athletic events since Katrina. 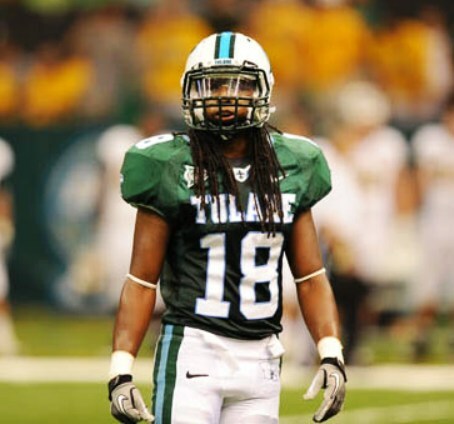 The last few years has seen that advertised more in an attempt to get them to see Tulane as "their" team, in an attempt to build the fanbase. I know some members of JDTulane's group of tailgaters are Loyola students/alums. I also know that TD made it where Loyola alumni are eligible for the "young alumni" discounted season tickets for Tulane football. Students at both universities have privileges at the opposite library. Useful because Loyola's library is higher rated/better than Tulane's, but Tulane has a few categories/collections that are better than what Loyola has. Students can also enroll in classes free of charge at the opposite university if its a course or discipline not offered at their own university. For instance, a lot of Loyola students take Portuguese at Tulane, and a lot of Tulane music students take advantage of the larger music department and music business courses at Loyola. That said, I almost never saw or interacted with faculty in matching department's at Loyola (the only one I know I know through Twitter), and events at one university are rarely advertised or attended by the opposite community. I think the main determining factor for what categories the universities have bled together vs not is if it is MUTUALLY beneficial or not. The class thing works because it allows each school to offer more options with less departments. Athletics works because Tulane wants/needs more fans. Library works because both have something to offer the other school. You see less in areas where one school towers over the other and gets no benefit from sharing. For instance, gyms. Tulane's RC is way better. So there is no "you can go to either." The gyms do coordinate to let their members use the opposite one when their's is closed for repairs (Tulane for a week in summer, Loyola for a week over XMas), but they'd never do it permanantly because tons of Loyola peeps would use Reilly, but hardly any Tulane people would use Loyola's. Food is the exception to all of this. More TU students go to Loyola for food than vice verse, but because its all one food vendor, from the food vendor's perspective, its all one university. So Loyola students complain, but nothing really changes about it. Speaking of music and the UC, did any of you folks ever go to the Latin dances upstairs in the Kendall Cram Room (expanded)? They were killer! Live bands, sometimes 20 pieces with tons of brass and percussion, with people coming from all over the area, not just Tulane and Loyola students. I think I saw Tito Fuente perform there, if you know who he was. The scenery was to die for, but you better had known every possible Latin dance there was, or you’d be given the cold shoulder.